Your favorite Star Wars bros are now an awesome set of cufflinks! 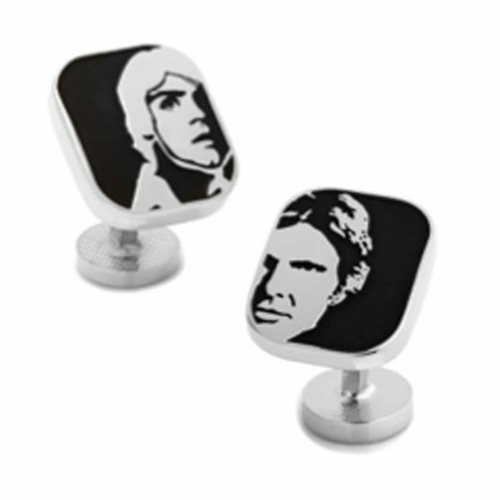 These Star Wars Luke Skywalker and Han Solo Cufflinks feature cool minimalist designs of Han and Luke. Colored just black and white, you'll be a cool standout amongst the crowd when you've got these on!